In my analysis, UN sanctions on North Korea will not work. Apart from sanctions, United States used millions of bombs to subdue North Vietnam and yet miserably failed to win the War. The Enemy is not Korea or Vietnam. The spread of Communism to mainland China in 1949 is the real Enemy posing threat to Freedom, Democracy, Peace, and Justice in Asia. WILL NEW SANCTIONS MAKE KIM JONG UN SWEAT? 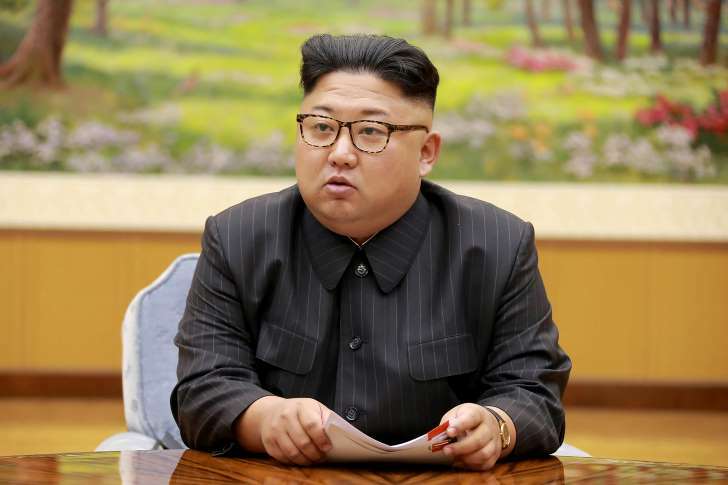 © STR/AFP/Getty Images North Korean leader Kim Jong-Un The latest U.N. sanctions are designed to squeeze North Korea harder than ever, but will it be hard enough? The new measures target major goods that North Korea buys and sells, but they don’t go as far as the U.S. wanted. A ban on oil exports to North Korea was dropped from Monday’s U.N. resolution. Now it calls only for a reduction. That was the result of opposition from China and Russia, which are wary of putting too much economic pressure on North Korea. “The Chinese and Russians are only willing to accept sanctions with loopholes in them that allow China and Russia to dictate how strong they really are,” said Anthony Ruggiero, a senior fellow at the Foundation for Defense of Democracies in Washington. Analysts said doubts remain over how tightly Beijing, Moscow and others will enforce the latest measures. China, which is estimated to account for roughly 90% of North Korea’s foreign trade, has been repeatedly criticized by experts for not doing enough to implement previous U.N. sanctions. The new limits on oil highlight the difficulties involved. The U.N. resolution caps the amount of crude oil sold to North Korea each year at 4 million barrels. But China, which sends crude oil to its smaller neighbor through a pipeline, stopped disclosing the amount it ships more than three years ago. “How would we know if China is limiting crude oil exports if it doesn’t report the data to begin with?” asked Kent Boydston, a research analyst at the Peterson Institute for International Economics. A recent report by a U.N. panel of experts also found flaws in the enforcement of existing sanctions. It estimated that North Korea managed to export at least $270 million of banned commodities between February and August. In order to pressure Beijing and Moscow to do more, the U.S. has to go after more companies and individuals that are suspected of doing business with the North Korean regime, according to Ruggiero. The Trump administration has already made some moves this year, hitting a Chinese bank and other Chinese and Russian entities with sanctions. But Ruggiero, a former official at the State and Treasury departments, has called for the U.S. to go further by slapping a big fine on a notable Chinese bank. “The one factor working in favor of these sanctions being implemented is that the Chinese and Russians have to be fearful that the U.S. will impose its own sanctions on Chinese and Russian companies,” he said. The U.S. is in a race against time, with North Korea having carried out a string of missile launches in recent weeks and its biggest ever nuclear test. Even if China and Russia do fully enforce the latest sanctions, there’s still considerable doubt about whether the stranglehold will force Kim to rethink the development of North Korea’s nuclear weapons. Experts have repeatedly warned that Kim’s regime will protect the weapons program above all else. Russian President Vladimir Putin appears to agree with that view. “They will eat grass but they will not turn away from the path that will provide for their security,” he said of North Koreans last week. The reduction in oil sales to North Korea isn’t expected to change Kim’s calculus. The measure is unlikely to have a significant impact on the North Korean military or nuclear weapons program, according to a report Tuesday by the Nautilus Institute, a think tank that specializes in energy issues. “Primarily these sanctions will affect the civilian population whose oil product uses are of lower priority to the [North Korean] state,” the report said.